In our last moments, we might think of things we might have done, dreams, mistakes, opportunities and if one was an important decision or not. 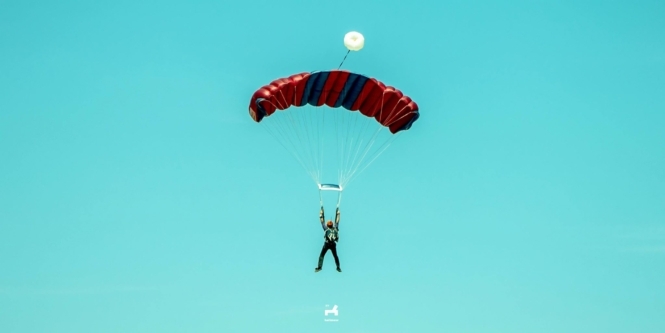 Most people have an answer to “Have you ever?” and most have an excuse for “Why’s?” Recently, I stumbled upon an interesting adventure and this is on most people’s bucket list — skydiving. 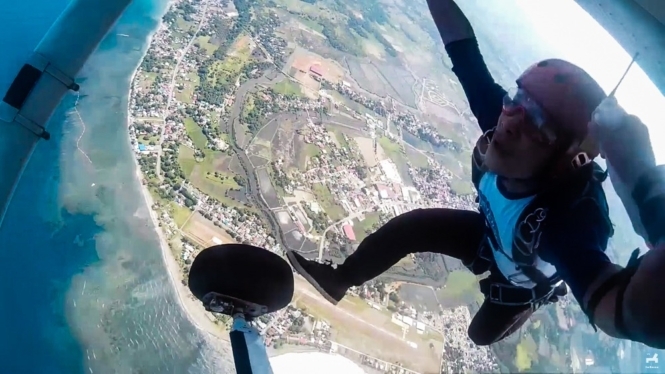 Social media has been helpful in accessing places or events that are cheaper than what is expected of trips, tours, or adventure, and here is where I’ve read about a post regarding skydiving in Zambales. It’s cheap and cheap does come with a price. Either risk it or don’t. Disclaimer: This post is not meant to promote particular organization(s) but to narrate on my experience on skydiving in Zambales. Flyxtreme Adventure Club in Facebook created this event, in connection with Skydive Zambales. I’ve been aware in the past that skydive doesn’t come cheap. The cost apparently ranges from P18,000 to 20,000. However, I learned that it’s possible to make monthly deposits 3 months before the event. The first and second deposits were paid through bank and then the last was handed personally to the organizer on the day itself. The total cost was P13,500. I was worried initially because of the weather, since rainy season has started in June. I also had other concerns. 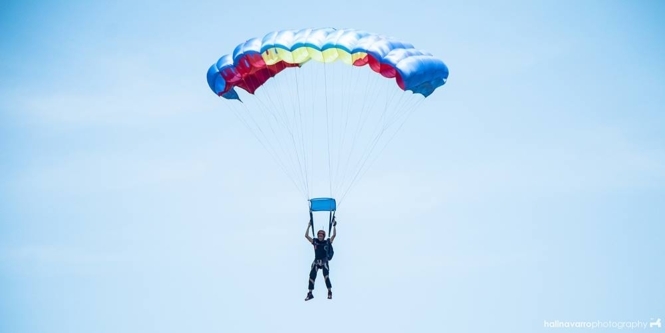 In other skydive events, tandem skydive is most advisable because this is where a divemaster jumps together with the guest, so the divemaster takes responsibility and control, and this is the safest option. To my surprise, I asked the the organizer of the event and was told that we were jumping solo. I thought jumping solo costs much more, so I inquired about tandem jumping and was again surprised to know it is more expensive than the solo jump that we would be doing. This brought excitement. I clarified other concerns such as how high we would be jumping and contingency plans in case of disagreeable weather. I was told that the plane wouldn’t fly if there was bad weather and the event would be canceled. There was a bit of rain before the day of the event. The following day, we arrived early morning in Iba, Zambales, and there was no hint of cloudy skies. The sun was up after 5 hours of travel from Manila. Our tour operator told us there would be free dinner and teased one of the guests, who had just celebrated her birthday recently, that it would be her treat. This I didn’t mind. The organizer of the event also handles the annual balloon festival in Subic, so when we arrived in Iba we stayed at the quarters to rest before heading to Iba airport for the induction of those who would be skydiving. This is what’s promoted in Skydive Zambales — safety. Listening is key because the instructors discuss important matters on the jump. It will be radio assisted, and what we would be doing is an instructor-assisted deployment (IAD) for the solo jump. In solo jump, the divemaster would be the one to pull the pilot chute, a small parachute used to deploy the main parachute as the skydiver descends. They strictly prohibit using GoPro strapped in the wrist because most guests divert their attention to taking selfies during the jump rather than listening to the radio. The divemasters have their own camera to capture the jump. We are told of incidents wherein some skydivers didn’t listen and ended up in the sea or hitting a fence. Nothing fatal but worth noting. Skydive Zambales consists of some of the military, army, and police officers that have a USPA (United States Parachute Assosciation) license for skydiving. So skyjumpers and even rookies are in good hands. They have trained for this so one should really listen up. 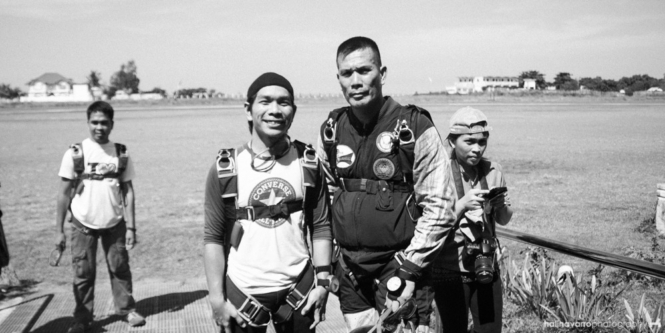 Miss Kara David covered Skydive Zambales with actor Raymart Santiago sometime ago for a skydiving story. They hold a dry run before the actual jump as good practice: correct hand and feet coordination of holding and letting go of the plane ’til the maneuvering of the parachute as it descends and proper landing. The latter when not followed can cause wounds or scratches. The plane that was used, a tora-tora-like plane, fits only four people: the pilot, two guest divers and a divemaster. 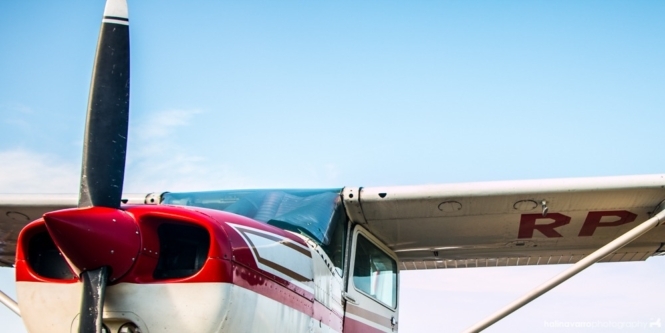 If the jumper fails to jump the first time and wants to have a second try, there will be an additional fee because there’s only limited time for jumping at a certain spot and if the plane goes around again there will be additional gas consumption. Be sure you’re really ready and remember what you paid for — it’s not refundable. I was on the third flight, silently remembering the important parts of the chute to operate, such as the toggle that steers the parachute that one holds, and what to do in certain situations, as in the case when the first chute doesn’t function. In the latter, that is where the second parachute comes to play. If one descends and the first parachute fails, it automatically opens at 1000 feet. 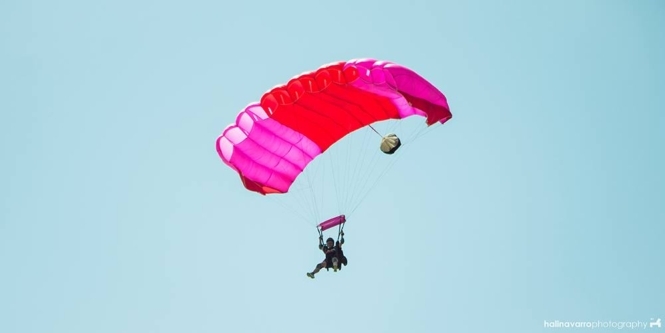 In situations such as fainting midair or getting the head hit while descending or when the jumper is aware that the first chute did not open, one should remember where the cutaway handle and ripcord is. All jumpers will be assisted accordingly through radio. We were taught a chant that goes “grab right, grab left, pull right, pull left.” Right is where the cutaway handles is, and left is where the ripcord is. The first ones in our team landed okay, though the American that jumped first had some minor wounds because he pulled full break on his chute for almost 30 feet, hitting him a bit hard on his landing. There are safety officers in the area who will give medical attention if ever something happens. Still, I was determined to jump. I kept in mind that when placed and holding on to the side of the plane, instead of looking down, one must look at the divemaster. When the divemaster says “go” or signs that it’s time to jump, you jump. Do so with your head held high and your body into an arc, and count ’til your chute is fully bloomed or opened then boom! You’ll be enjoying a beautiful view on the way down. The commands to steer the chute that will be given via radio assist are turn left, turn right. Instructions included are such: raising the toggle up stabilizes the movement, half break is when you pull the toggles chest level, and full break that is most of the time used when you’re landing is when you pull your toggles to waist level. Looking at the view while listening to the radio, I was just thinking of landing safely. When the chute stabilized its movement, I was relieved. I followed whatever was told on the radio assist. 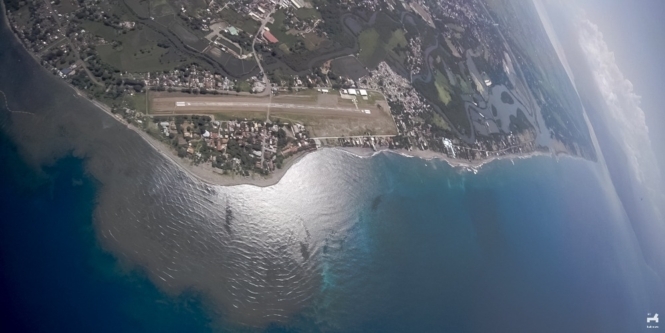 As I descended down and was close to landing, the radio instructor told me to raise my hands. I had a hard fall, but thankfully, it was in a grassy area. I was waiting for the radio instructor to tell me to full break, but perhaps since I was landing in a grassy area, he just told me to raise my hands. Some tips in landing are to cover your face and make your legs closer then tuck and roll on the ground. I thought I was still a bit far from the ground, though I didn’t get scratches or wounds. Just sandy pants. It’s over! I survived! And it all happened before lunch time. 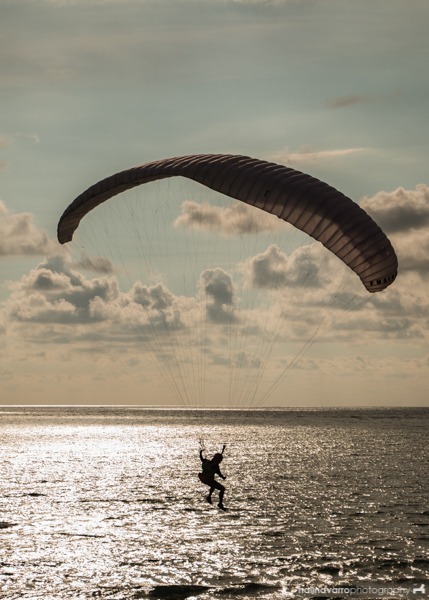 There a paragliding too for an additional fee, which is what mainly the Flyxtreme Adventure Club offers. I didn’t sign up for that. There was a guest who backed out in skydiving and instead went for the paragliding. Those that didn’t sign up for the paragliding waited in the quarters. I took a bath and slept and the others did as well, with some swimming in the beach waiting for the paragliding event. The paragliding activity started around 4pm, which is a really long waiting time from the end of skydiving activity earlier. The itinerary says our departure is at 8:30pm. I think it would be a great improvement for those organizing events such as this to have a separate van for the ones that won’t be joining the paragliding activity so they can go home earlier. I waited from lunch and the promised free dinner did not happen, and the tour operator told us they haven’t bought something to cook. On our way home, we stopped at KFC somewhere in Subic and the tour operator gave us certificates of our skydive. We were told that certificate can be used so that our next skydive would just cost P3,500. All in all it’s a fun experience though perhaps it’s better to ask or go straight to Skydive Zambales in Iba Airport for the skydive rather than join a packaged tour event. I got home at 2am. Sir Anthony was my divemaster that day and it’s an experience with words of encouragement before jumping. 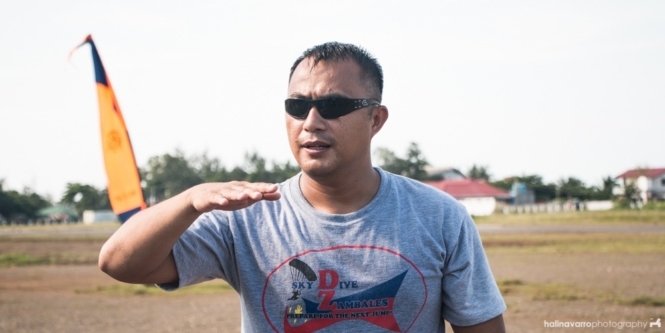 Kuya Raymond of Skydive Zambales recommends doing a tandem skydive instead of solo. According to him it is safer and more enjoyable. 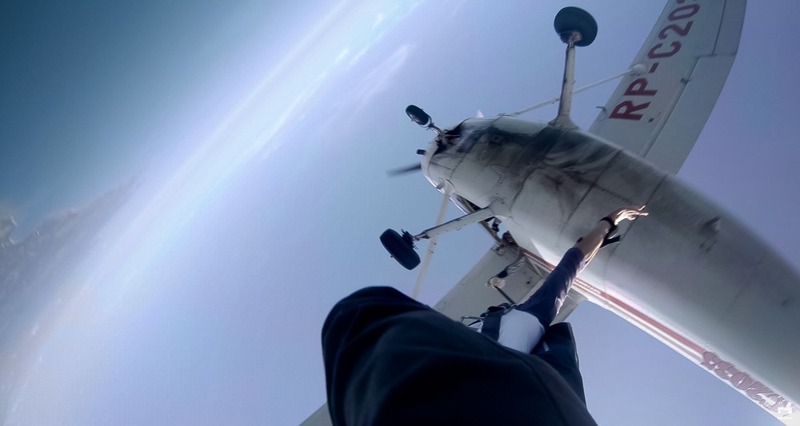 The height of the fall in tandem skydive is 10,000 feet, compared to the 3,500-4000 feet in solo skydive. You can visit Skydive Zambales’ Facebook page here. 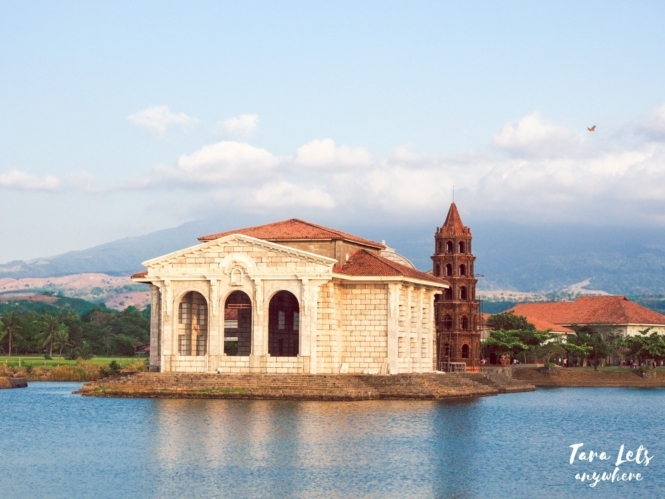 Aside from Zambales, there are few select places in the Philippines where you can skydive, including Vigan and Cebu. P.S. If this interests you, you might also want to see this list of adrenaline-pumping adventures from around the world. Have you tried skydiving yet? Would love to experience this myself. I’d like to think I’m adventurous though in reality I haven’t been on adventures much myself. Skydiving can be liberating and at times that’s what I wanted to feel. Did a double take on the price though but as you’ve said, in the end, do you really wanna be questioning yourself “why”? Oh my oh my, look at you. All brave and cool . Sky diving right, my goodness, never in my life. I WISH I had the courage to do it. From the pictures I see how great the experience must be, those views, just super! I’m really impressed by anyone doing this sport. What a beautiful experience–I would try this in a heartbeat! (Hey, I conquered eating insects, I am Fear Factor-proof!) 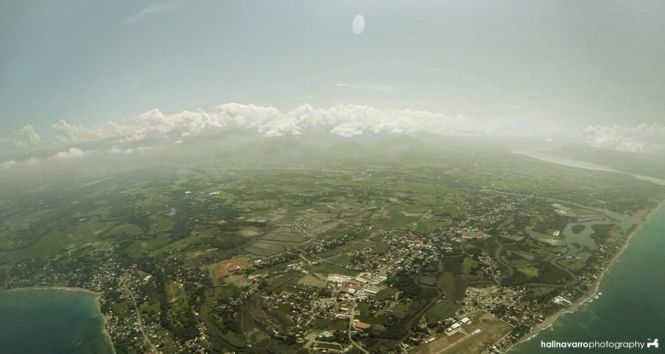 Skydiving is definitely one of my bucket list–I didn’t know you could do it in Zambales! I have my first skydiving lesson schedual and I’m just so excited! I mean, I’m so scared. Scared and excited both! You have AMAZING photos!!! Thank you, Raffa! 🙂 I hope you enjoy your skydiving lessons. Do you plan on getting certified? Good luck! Woah! What a daredevil! Hahaha. I want to experience sky diving too but I’m too much of a scaredy-cat to actually push myself. I’m not actually scared of the height, but more on the part of remembering at what height to deploy the chute or what I should be remembering to do once I’m in the air. It must be a common fear which *might disappear after a few tries. I would be so afraid to do this. I am not a fan of flying and I am also afraid of heights. Just thinking of jumping alone from a plane gives me shivers. I did fly in a 2 seater plane once, to try to conquer my fear of flying but it didn’t help much. That flight was awesome though as I got to pilot the plane. congratulations for that brave attempt to sky jump.. and you have done it solo.. wow! Awesome!! Planning to jump next year. Oh wow. 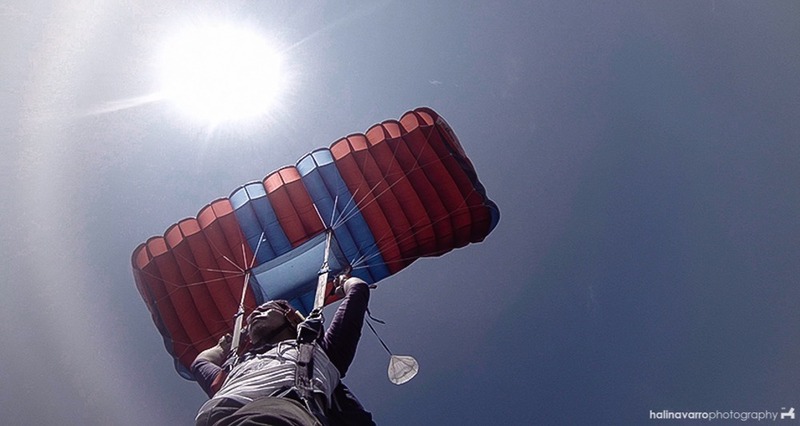 Are you doing solo or tandem jump? Good luck!